A new bifolding door is a great way to improve your living spaces, add value to your property and create a desirable feature in your home. With a new set of bifolding doors, you will benefit from more space, light and a more practical home all round. In this article, we answer some frequently asked questions about fitting new bifolding doors. 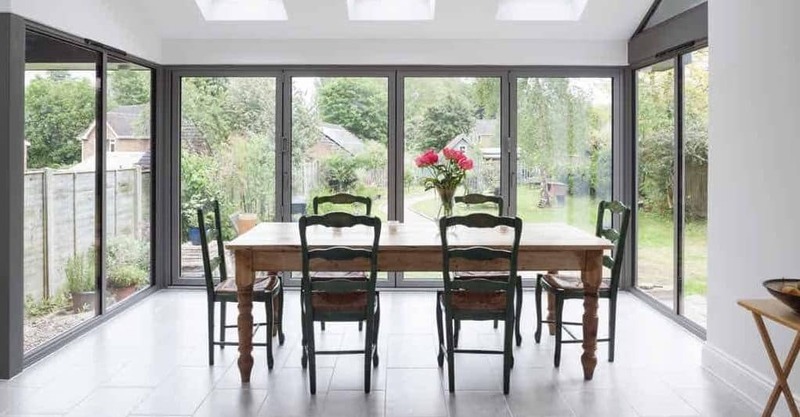 Is fitting new bifolding doors a sound investment? Absolutely. If you are thinking of renovating your home to sell on, a bifolding door is highly desirable with homebuyers and prospective purchasers. Even if you are not thinking of selling your home, you will benefit from the many great features of a bifolding door. How do I know if fitting new bifolding doors is right for my home? At Northwest Bifolds we have enhanced all manner of property with our Origin, Schuco, AluK and Reynaers systems. For bifolding doors, few properties could not have a new aluminium bifold. Even if you do not have a big enough opening to take a bifolding door, we can take out an existing window or door and enlarge the opening for a bifold. What is the best material for bifolding doors? Don’t just take our word for it; aluminium is by far the best material for new bifolding doors. That is not to say other bifolding doors are shoddy or not fit for purpose, merely that aluminium bifolds work better, look better and perform better long-term. We explain the pros and cons of each material. Aluminium is the slimmest and strongest of all materials. Every great brand of bifolding door is made of aluminium, not PVCu or timber. The biggest colour choice of all the materials including woodgrains, metallic finishes and different colours inside and out. Doors are possible wider and taller than the other materials. With the right glass can be just as thermally efficient. PVCu is a weaker material and will need thicker, bulkier looking frames. Handles and hardware can affect the overall appearance. In warm weather, PVCu is prone to thermal expansion that can affect the operation of the doors. A warm natural material that looks and feels terrific. Wood is an excellent insulator with great energy efficiency. Can be repainted as needed. Needs care and maintenance to prevent damage. Might not suit every type of property. What benefits will fitting new bifolding doors bring to my house? Aside from the monetary value a bifolding door can add to your property, there are other instant advantages. Your room will immediately feel bigger and will be much brighter thanks to the large glazed panels. A smaller home or room will feel bigger thanks to the great views provided by a bifold. By far the most significant benefit will be when you open the bifolding doors and see the extension of your home to the outside. These are just some of the instant benefits to fitting new bifolding doors. What is the right threshold for bifolding doors? All bifolding door brands offer a standard or a low threshold. Some brands even offer a ramp type threshold for smooth access or where wheelchair users need to be considered. Generally, the low threshold does not provide any weather protection and should be avoided in external applications. Contact us, and we can help you choose the correct threshold for your bifolding doors. When is the right time to think about ordering my new bifolding doors? Some factors determine how quickly you can get your new bifolding doors. Colour choice, brand and when your structural opening is ready are all important considerations. We recommend that your doors be measured as soon as the structural opening is available in a new extension or alteration. If we are just replacing an existing sliding door or French doors, we can measure at any time. It is important to know that until the structural opening old or new, is surveyed the doors cannot be ordered for manufacturing. Our Origin bifolding doors are renowned for their premium quality, 20-year guarantee and fast availability. Questions about fitting new bifolding doors? Contact Northwest Bifolds. At Northwest Bifolds we have transformed houses large and small and provided solutions for all our satisfied customers. Contact us today for a free, no obligation quotation, and we can answer all your questions about fitting new bifolding doors.